Welcome to language-easy.org! 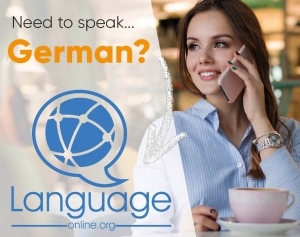 Well, as you have clicked on this article about the German past tense, I suppose that you are ready to enter into this essential topic in German grammar. Although this type of expressing the past in German might not be the most common one, you should master it. Especially in written texts and formal information like news reports, this German tense is of very high importance. Well, and for all the English experts, the German past tense can be compared to the English simple past. But, be careful! As already mentioned, its usage is a lot different from the English simple past. Now, let’s concentrate and come to this first point of this article, the definition and correct usage of the German past tense. Well, first of all we should clear up what the German past tense actually is. So, as I already told you, this tense can be compared to the simple past in the English language. But, be careful! It’s usage in German is quite different from the one in English. Anyway, first the definition of German past tense. The German past tense or simple past or imperfect (in German you’d say “Präteritum”) is used to express facts and actions that started and ended in the past. So, actually we can split that up a little bit, just to make it clear in which circumstances the German past tense is used. First, you can use the German past tense to express a completed action in the past. “Ich fuhr mit dem Zug von Berlin nach München.” – I went from Berlin to Munich by train. Second, you use this German tense to express a fact or condition in the past. “Der Zug war sehr sauber.” – The train was very clean. Of course, the correct usage of German past tense is not too difficult. Nevertheless, there is big difference, especially when you compare its usage to the usage of the English simple past: Whereas in English, the simple past is used in everyday language to express facts and actions in the past, in German, the present perfect is used in spoken language. However, it is quite common to use the German past tense of the verbs “sein” (to be) and “haben” (to have) to express conditions and facts on the past. Remove the infinitive ending “-en” and add the following endings for weak and strong/weak verbs. 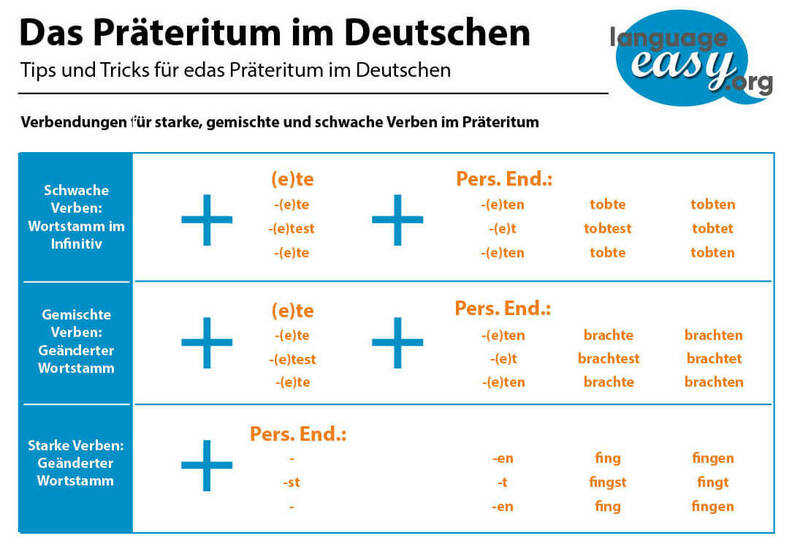 So, for the endings in the German past tense, let’s have a look at the following table. Please, keep in mind that this rule and the following conjugation is only valid for regular verbs. Now, without losing too much time, let’s have a look at the irregular conjugations of the important verbs “haben” and “sein”. Well, as we have now cleared up the conjugation of verbs in the German past tense, let’s come to the most uncomfortable section of this article, the exceptions. First, Many strong/mixed verbs change the word stem in the simple past.